Lawmakers know what they don't want on Brexit. Will they agree on what they do? LONDON — When it comes to Brexit, lawmakers seem to be clear on what they don't want. But will they ever agree on what they do want? On Monday, Parliament will again vote on a potential way forward on the divorce with the European Union. The eight non-binding motions — known here as indicative votes — are designed to test whether there is any one Brexit option that lawmakers will support. They range from throwing the approval for a withdrawal agreement and future relationship with the E.U. back to the people in a second referendum, to leaving the bloc without an agreement — something many business leaders warn would deeply damage the country's economy. Another option that lawmakers could support on Monday is the U.K. joining the E.U. 's customs union, which would allow businesses to trade freely with the bloc. Many in Prime Minister Theresa May's government oppose this because it would limit Britain's ability to negotiate its own trade deals. By 1 p.m. (8 a.m. ET) Monday, it was not yet known exactly which motions would be voted on in the evening. 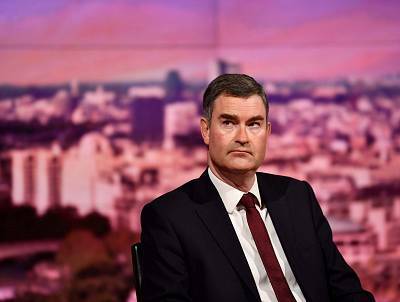 Justice Secretary David Gauke, who voted to stay in the E.U. in the June 2016 referendum, has called on his fellow lawmakers to act even if they have not found a perfect deal. "There are no ideal choices available and there are very good arguments against any possible outcome at the moment but we are going to have to do something," he said on the BBC on Sunday. "Sometimes you do have to accept your second or third choice to avoid an outcome you consider to be even worse," he said. 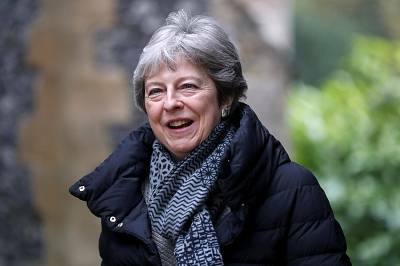 The votes on Monday will come after lawmakers three times said no thanks to withdrawal agreement proposed by May's government. Two of these votes were the largest and fourth largest losses in parliamentary history. Despite these defeats, May is reportedly considering puttingher deal up for yet another vote in Parliament this week. As it is, Britain is due to leave the 28-member bloc on April 12, two weeks after originally planned. The deadlock in Parliament forced May to ask the E.U. for an extension to its membership — angering many Brexiteers. But if lawmakers fail to find a way forward, Britain could crash out of Europe without an agreement — something many consider a nightmare scenario. Most experts say it could trigger shortages of food, medicine and basic supplies. The E.U. plans to hold an emergency meeting on April 10 to decide on whether it should offer the U.K. a further extension. If the Brexit date is pushed off for a second time, the U.K. would likely need to take part in elections for the E.U. Parliament, something that May has said she wishes to avoid and that staunch Brexiteers adamantly oppose. In the meantime, business leaders are begging the government to get its act together. "Brexit is exhausting our business and wrecking the country's tremendous reputation as an economic powerhouse," wrote the chief executive of manufacturing giant Siemens' U.K. operations, Juergen Maier. "People's livelihoods are at stake, and our reputation as a country for stable and sound business investments could be in tatters by the end of the week if you fail," he wrote in a piece in Politico. Budget airline EasyJet also said on Monday that demand and pricing were suffering from uncertainty around Brexit. The U.K. has been struggling to figure out how to implement the result of a referendum to leave the E.U. since June 2016. The shock vote shone a light on deep differences in British society, with swaths of the country seeing the E.U. as a proxy for an elitist and unaccountable establishment. Many feel that the E.U. has held Britain back from economic success and that its freedom of movement laws have allowed too many low-skilled migrants into the country. Meanwhile, many who want to remain part of the E.U. say staying in the union helps safeguard the economy as well as workers' rights, and label pro-Brexit voters a reflexively anti-immigration and even racist. The capital London felt the strength of the pro-Brexit sentiment on Friday when thousands of leave supporters gathered in front of the Palace of Westminster. A week earlier, hundreds of thousands of protesters took to the streetsdemanding a second referendum. May's own ruling party and the opposition Labour Party are also split on how, or even if, Britain should separate from its largest and closest trading partner. With so much indecision in Parliament, some feel the only way to break the deadlock would be with an election. For May's ruling Conservative Party, this would likely be a last resort, especially after polls over the weekend showed her party either tied with or behind Labour. It's also unclear who would lead the Conservatives into an early election. 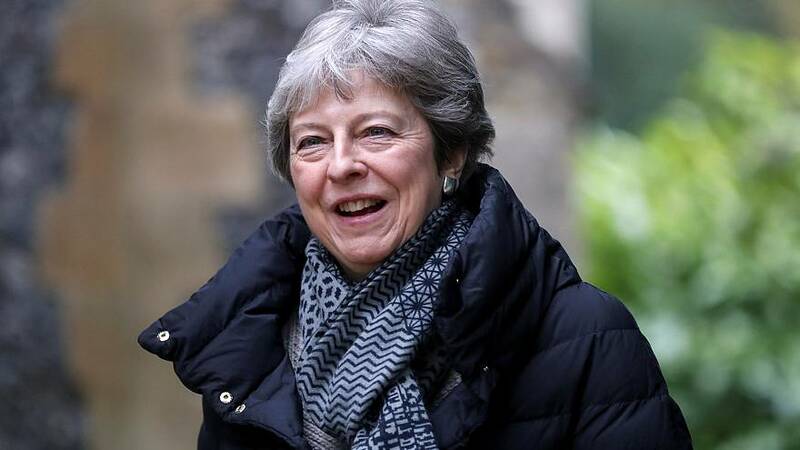 May has said in the past that she wouldn't stand in the 2022 election, and added last week that she would be prepared to step down if lawmakers supported her deal.